This is an amazing piece for any 49ers fan! 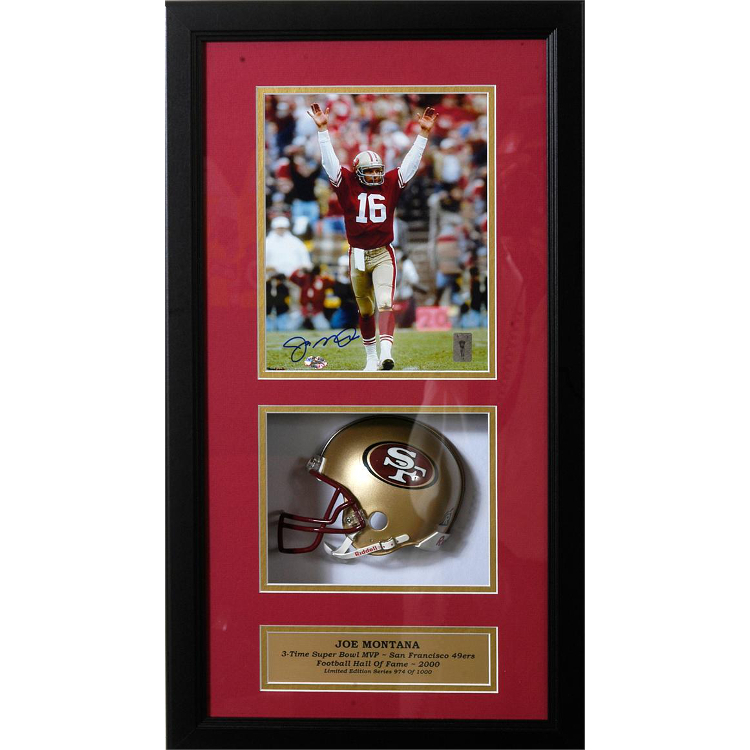 This Joe Montana autographed licensed 8x10 photo in a beautiful shadowbox with a mini helmet. This will look great in your home or office and is a must have. Comes with a Certificate of Authenticity.